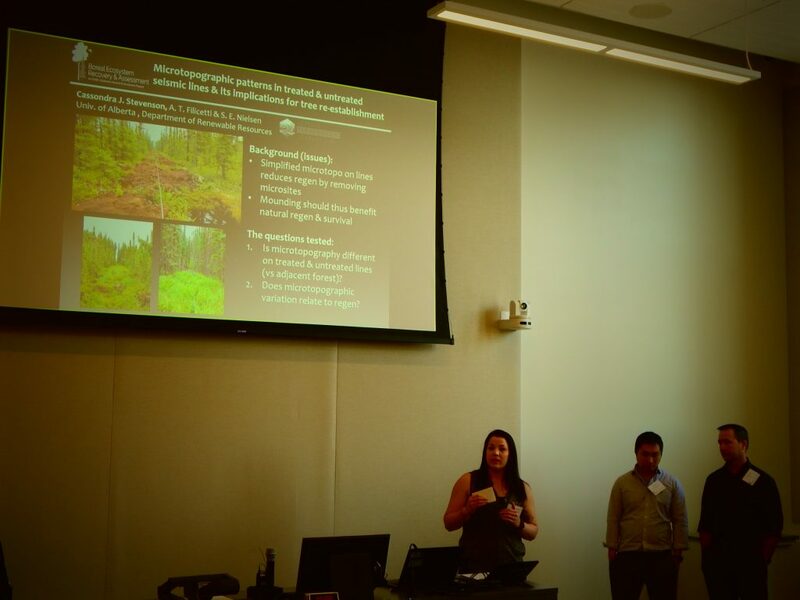 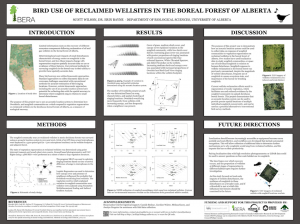 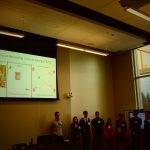 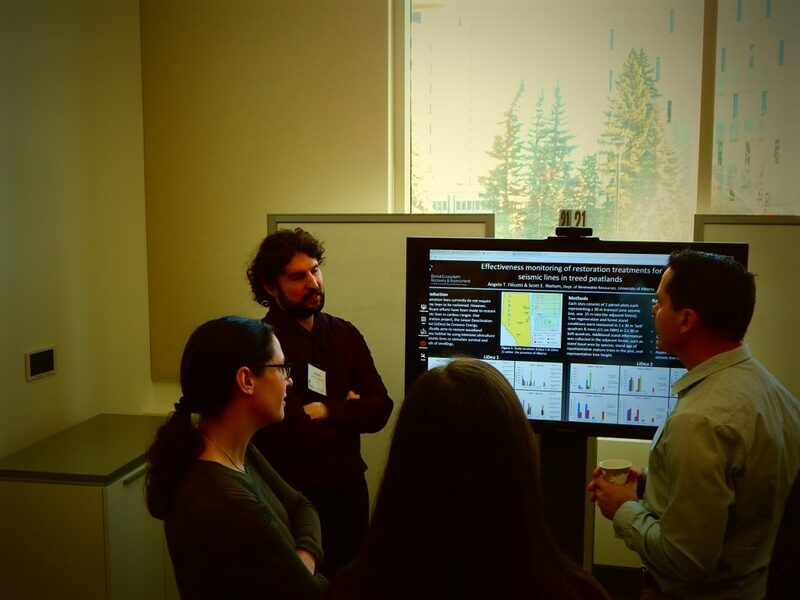 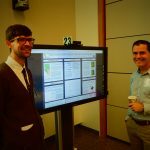 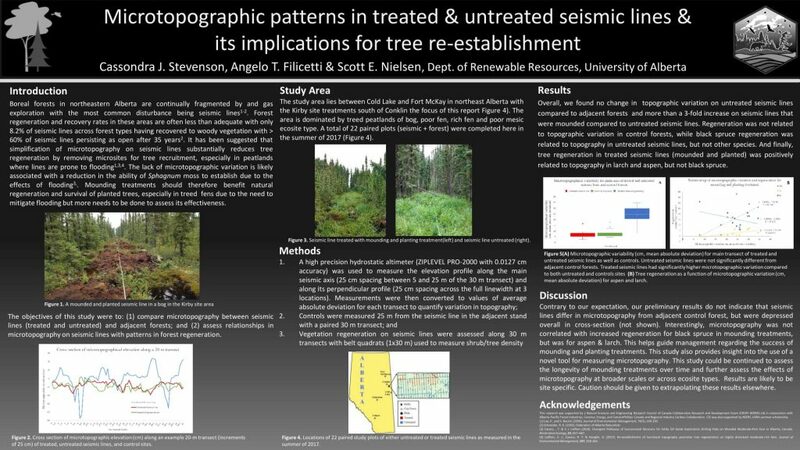 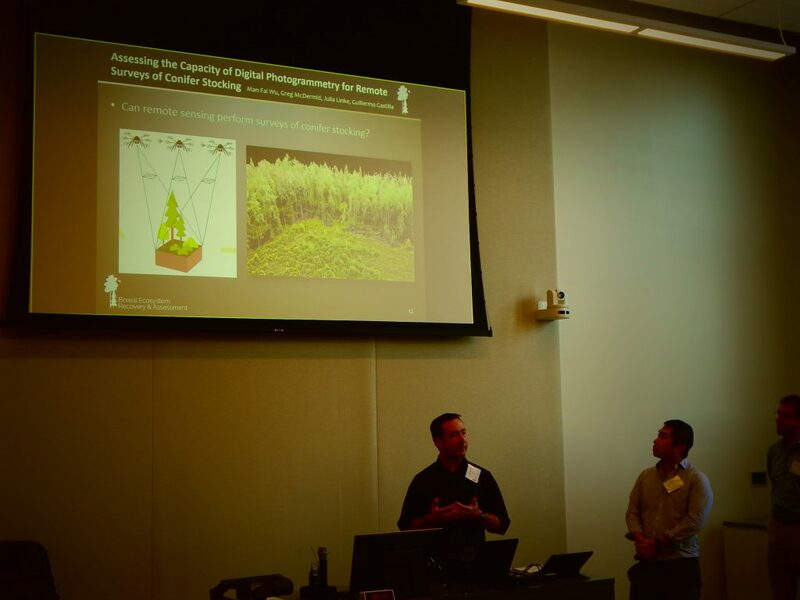 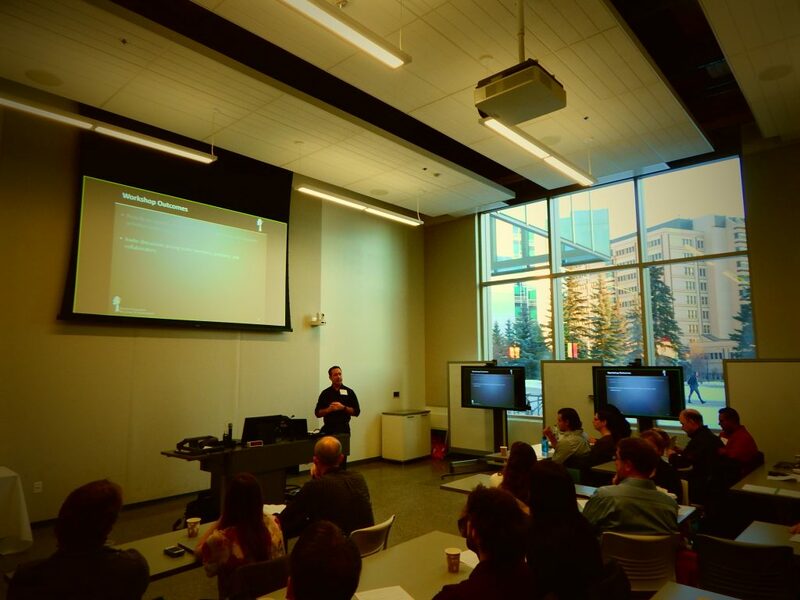 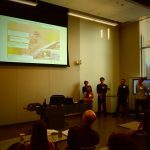 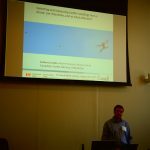 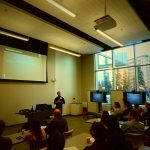 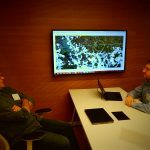 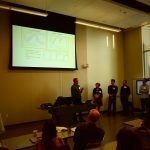 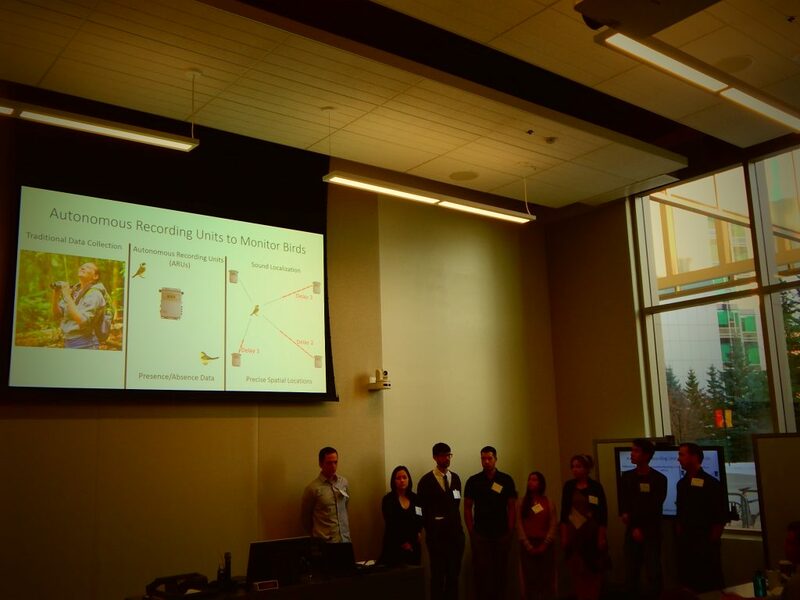 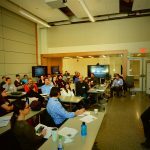 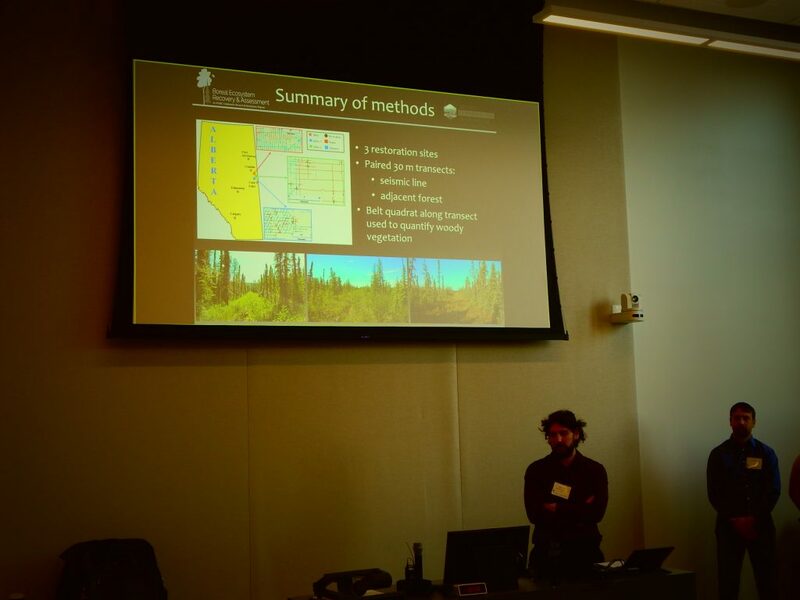 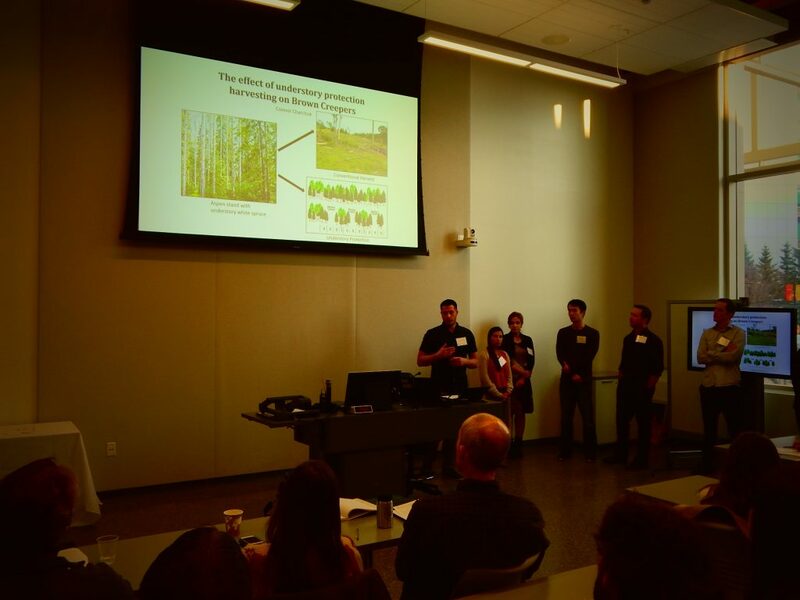 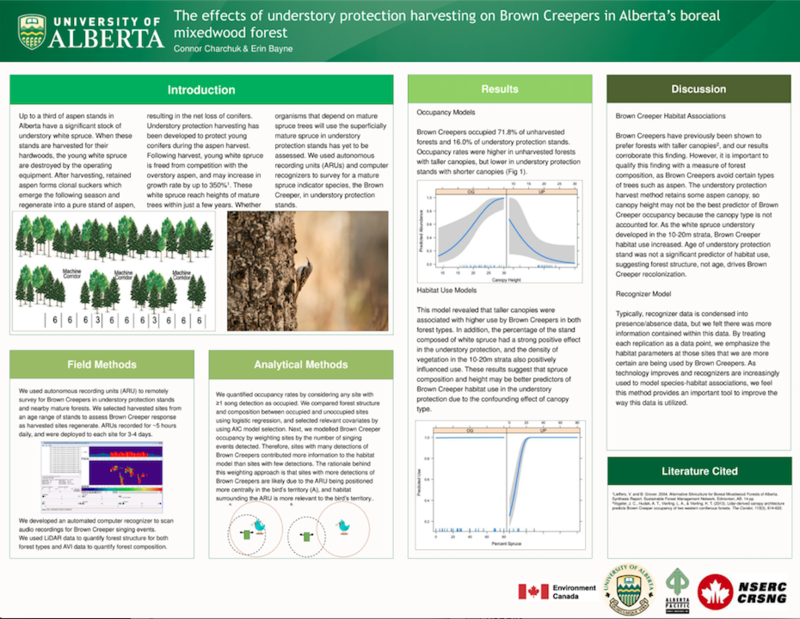 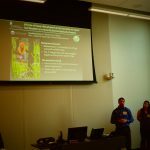 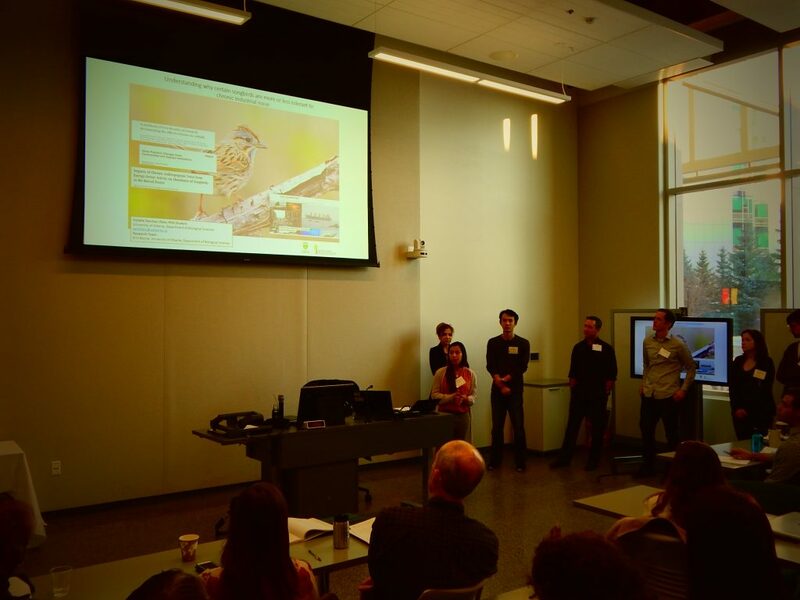 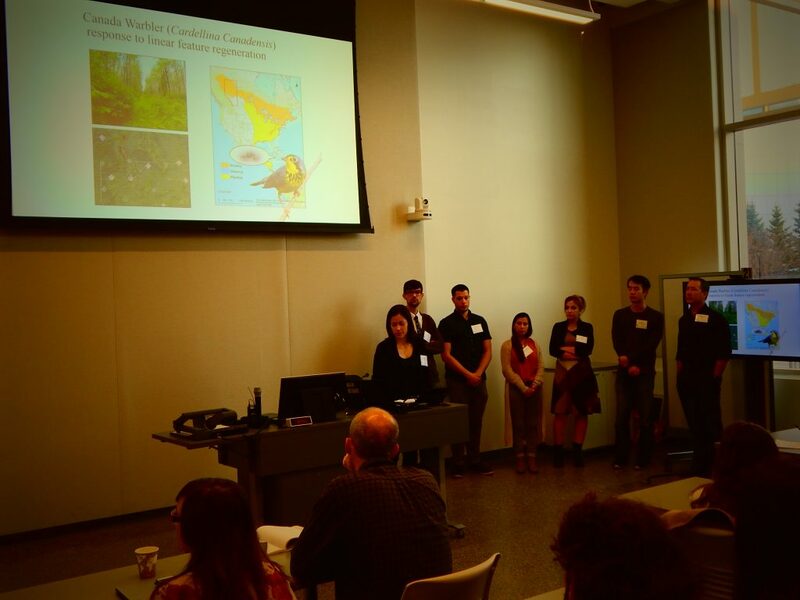 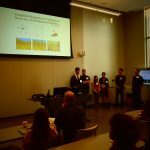 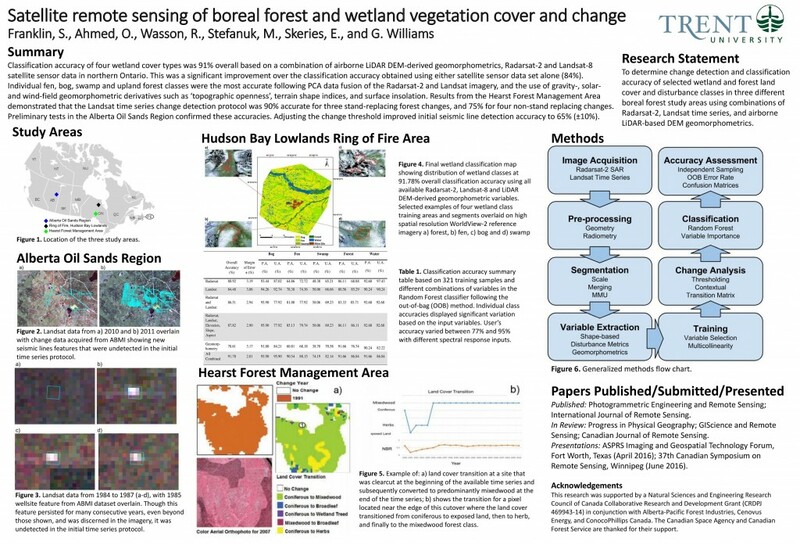 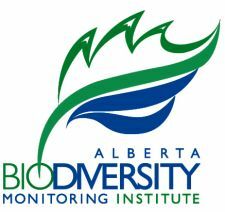 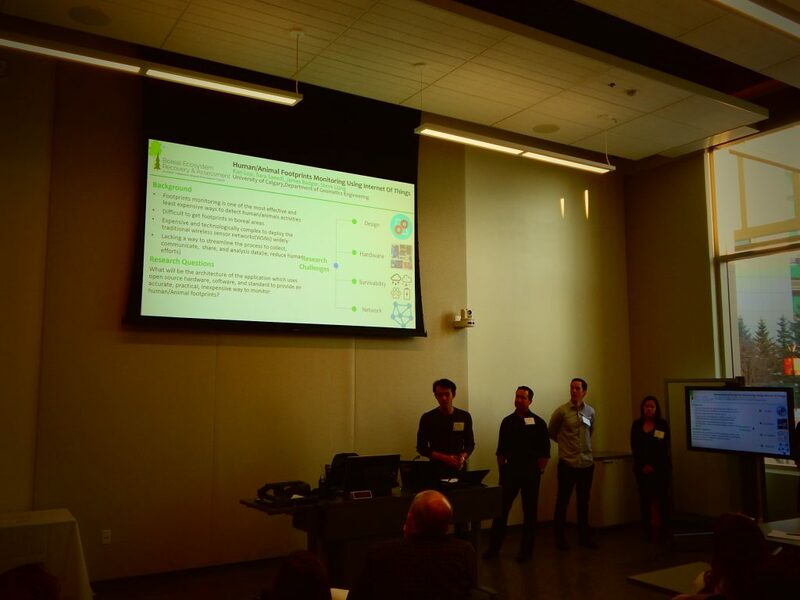 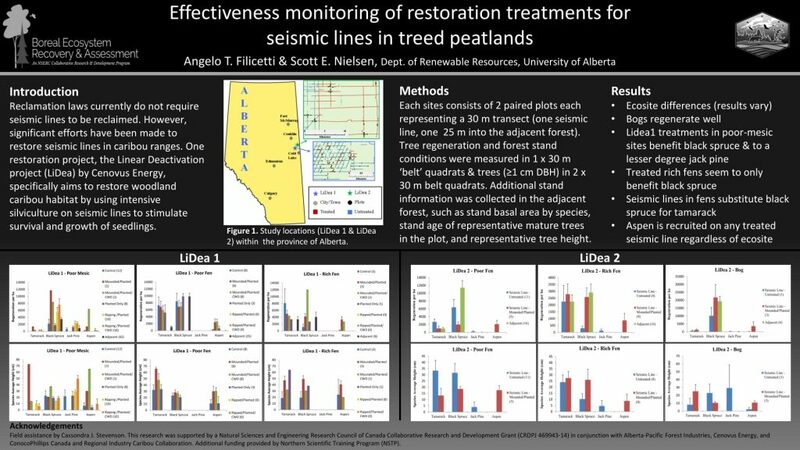 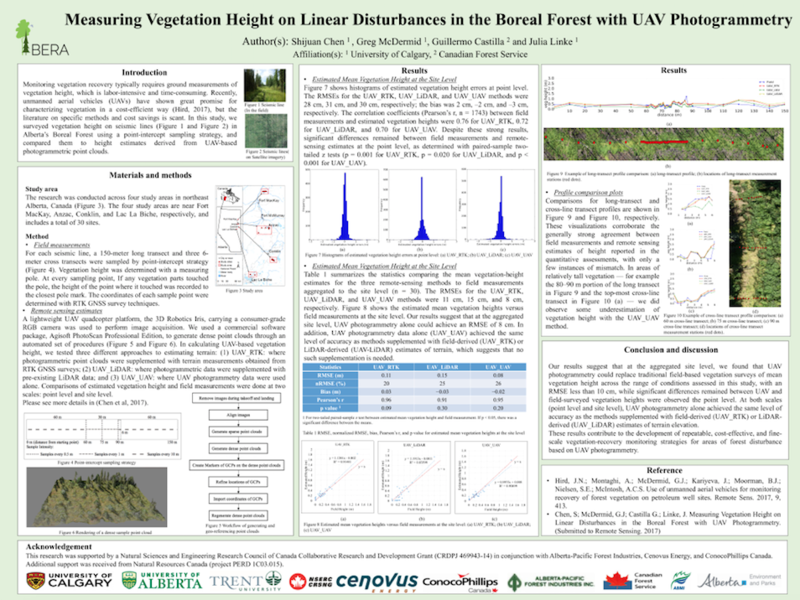 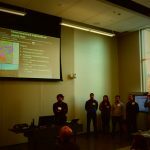 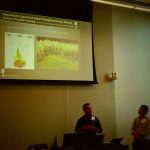 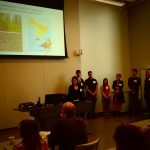 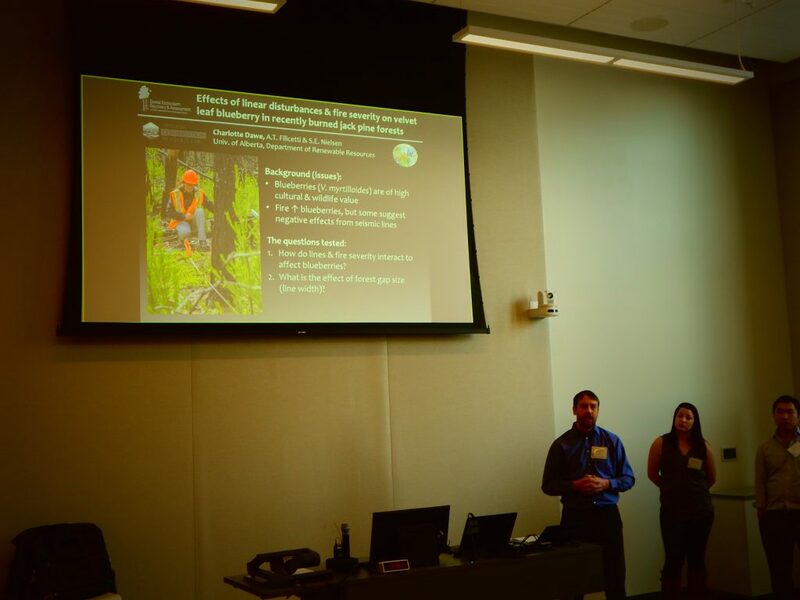 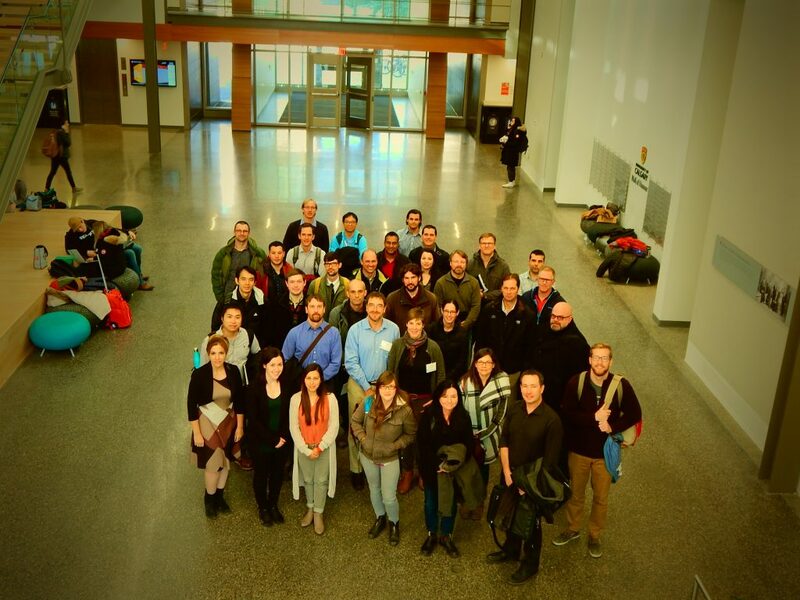 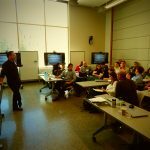 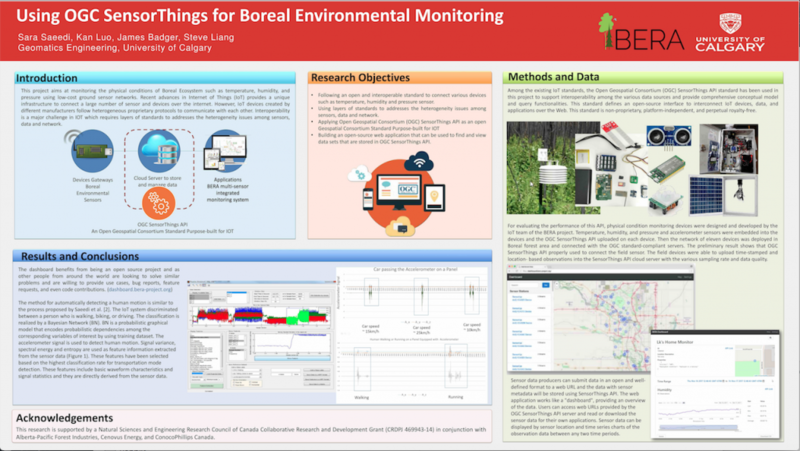 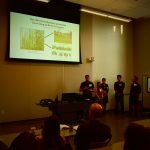 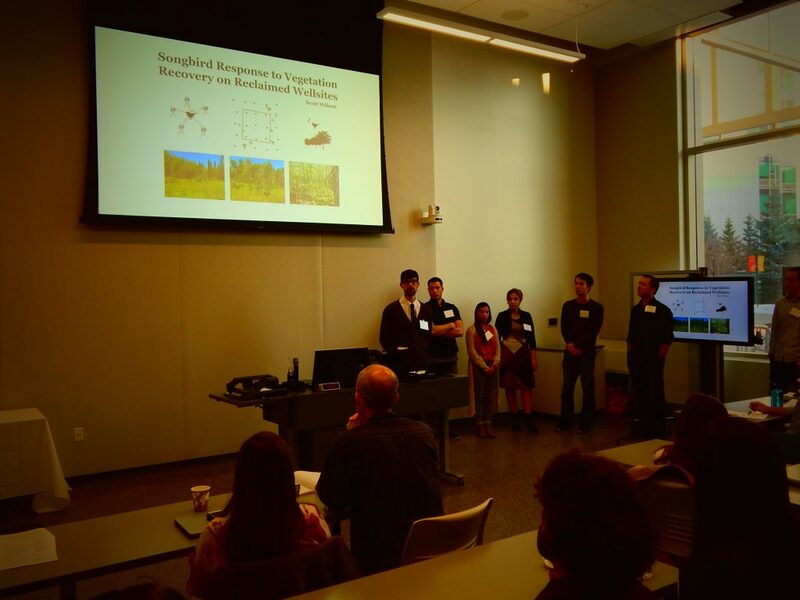 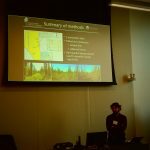 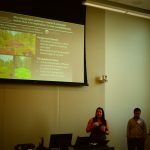 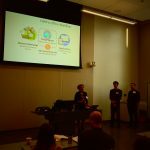 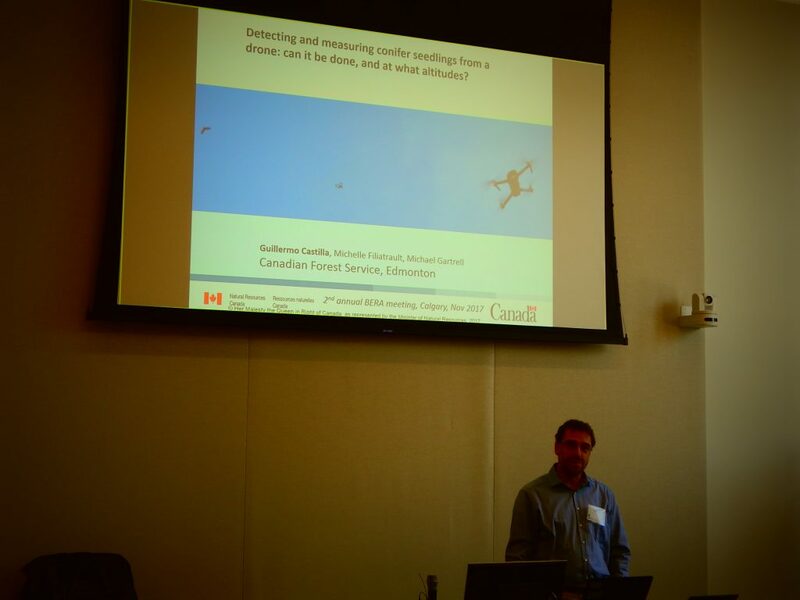 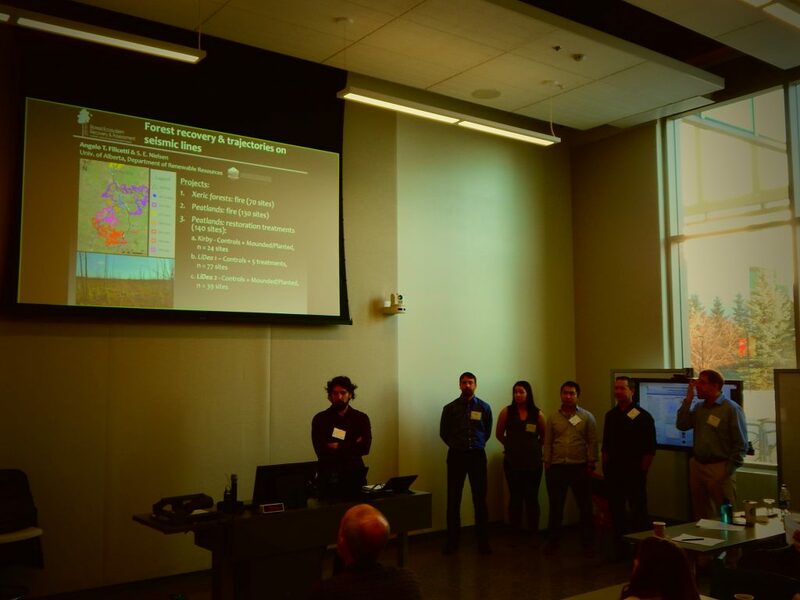 Members of the Boreal Ecosystem Recovery and Assessment (BERA) project held their second-annual workshop on Wednesday, November 22nd at the University of Calgary. 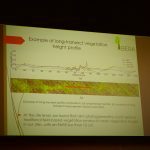 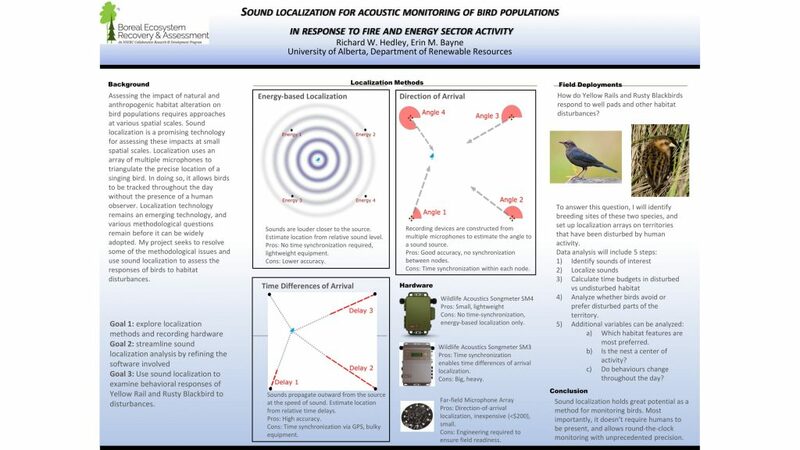 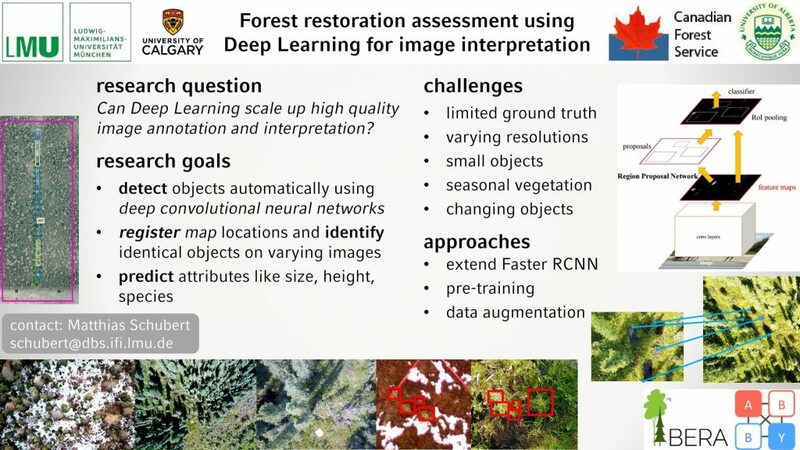 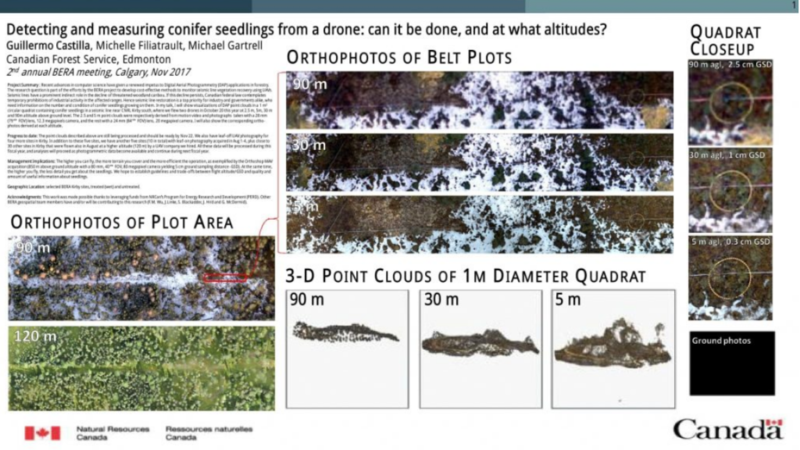 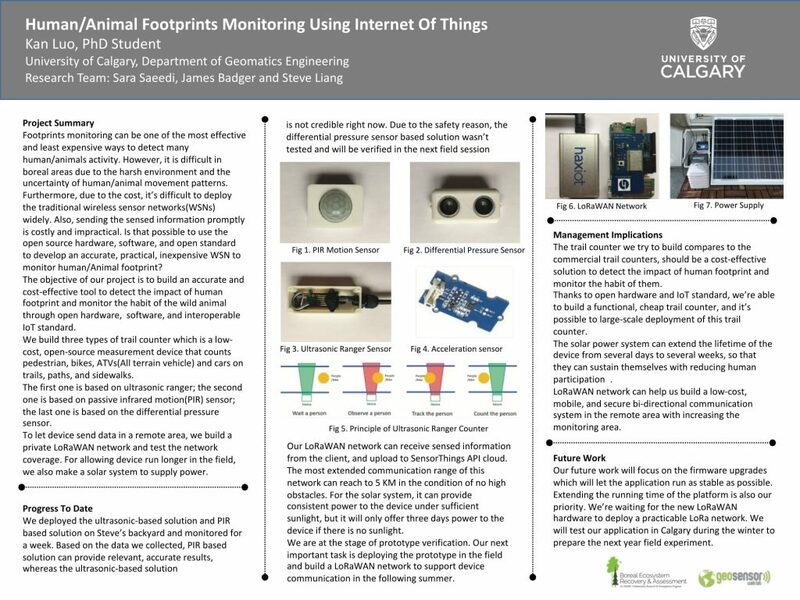 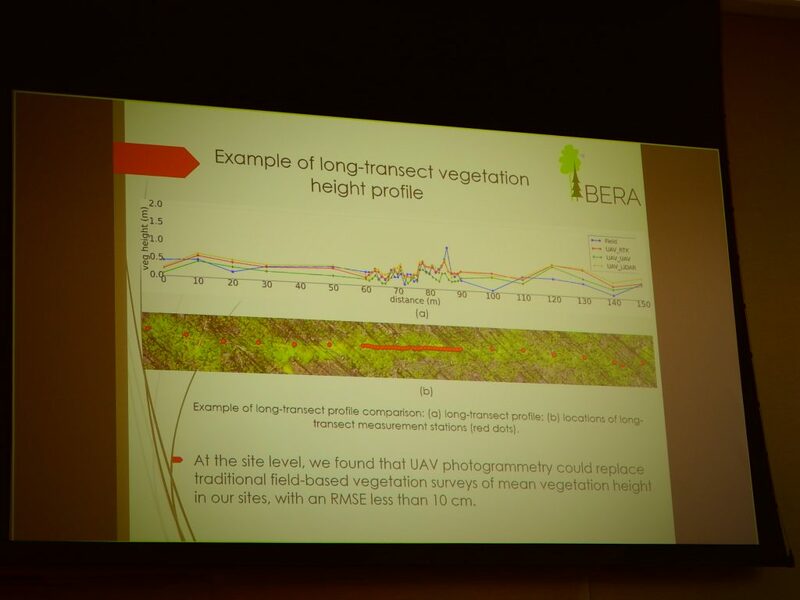 This year’s workshop was focussed on 1) providing research updates from the three main BERA teams – Remote Sensing, Sensor Networks, and Ecology; and 2) encouraging meaningful dialogue between BERA members and their partners and collaborators. 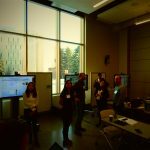 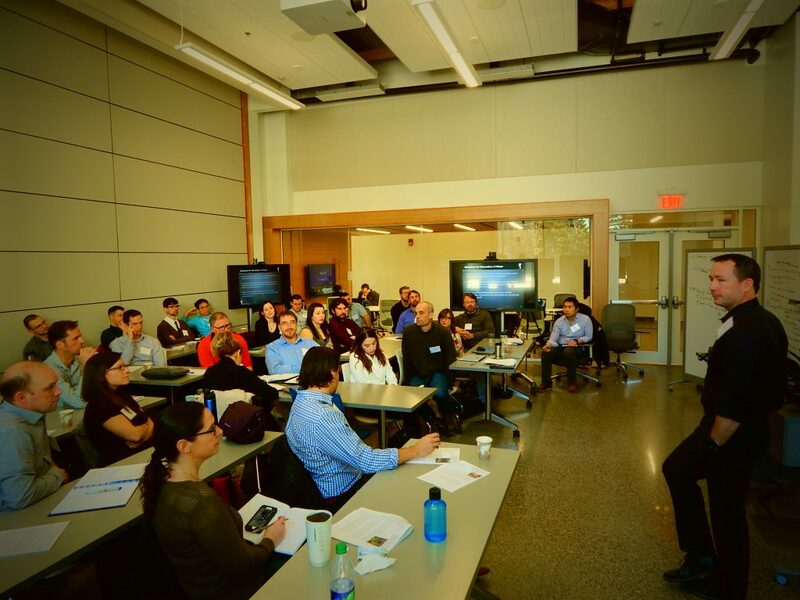 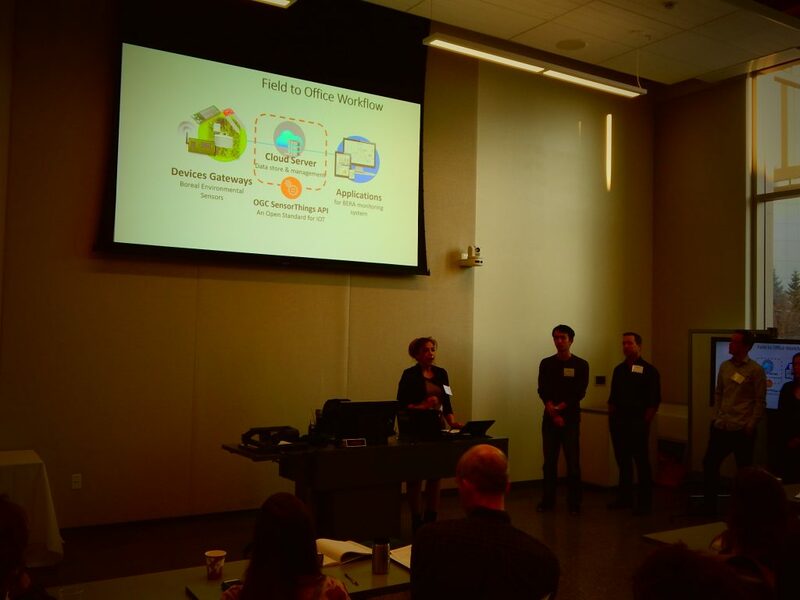 While the intent was to keep this year’s workshop small, the number of attendees rose to nearly 40, bearing witness to a wonderfully engaged and steadily growing research network! 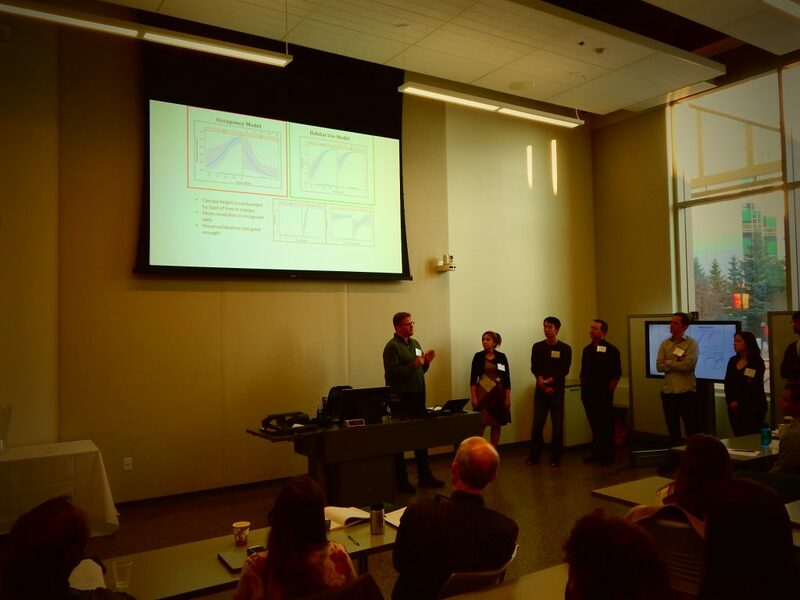 The morning began with welcoming remarks by Greg McDermid, and was followed by a series of three-minute lightning talks followed by poster presentations from all BERA researchers. 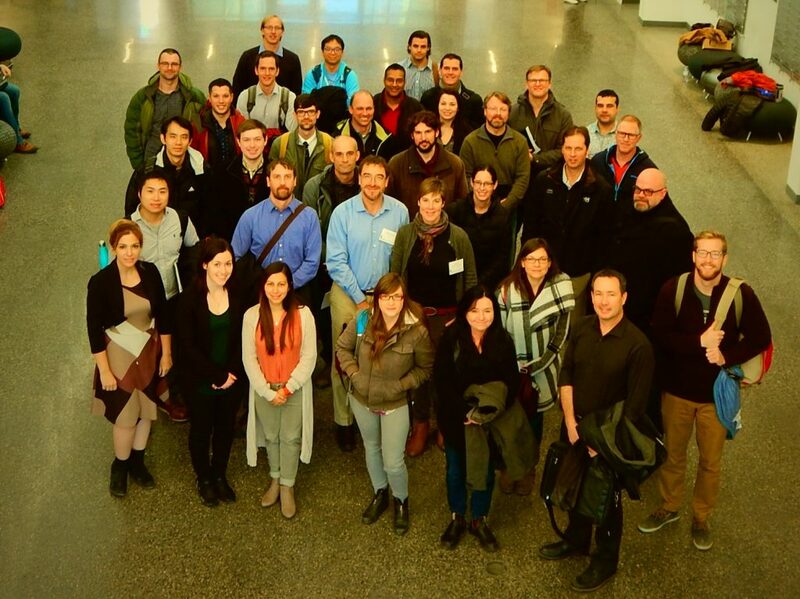 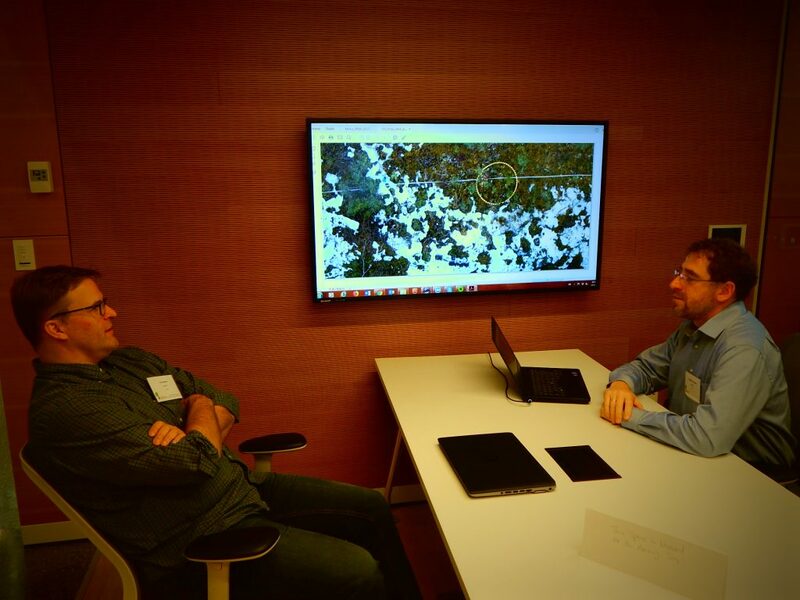 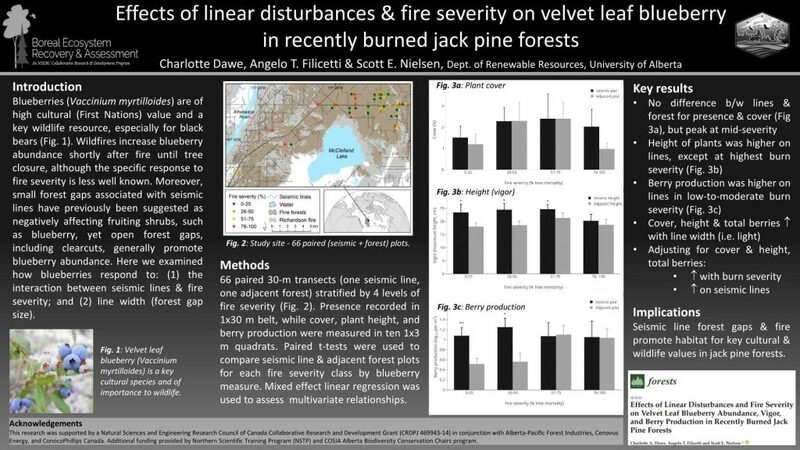 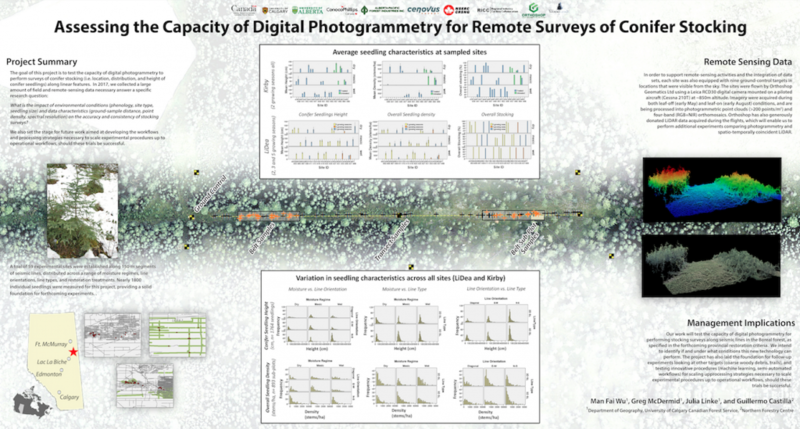 The ecological (wildlife) and sensor network teams went first, followed by the ecological (vegetation) and remote sensing teams. 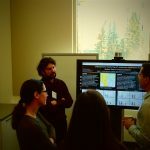 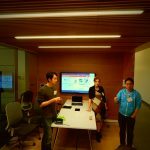 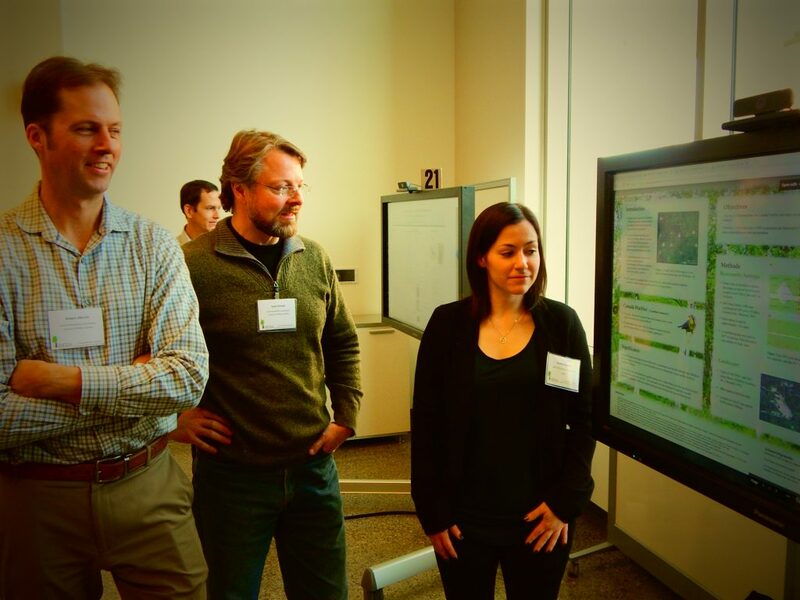 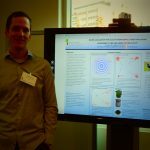 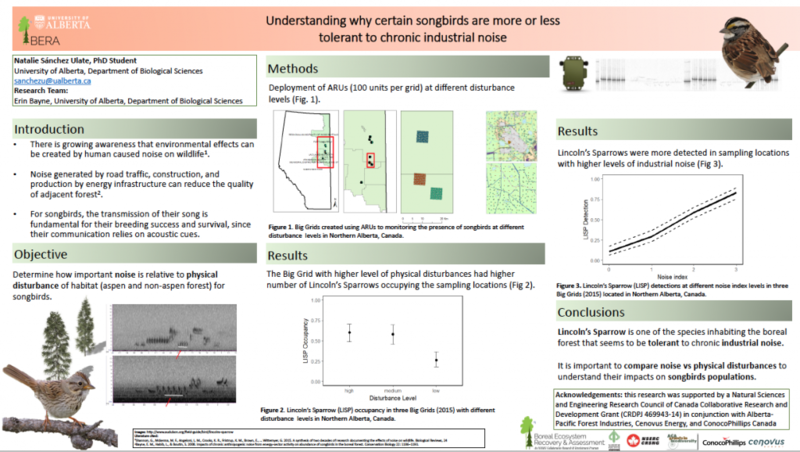 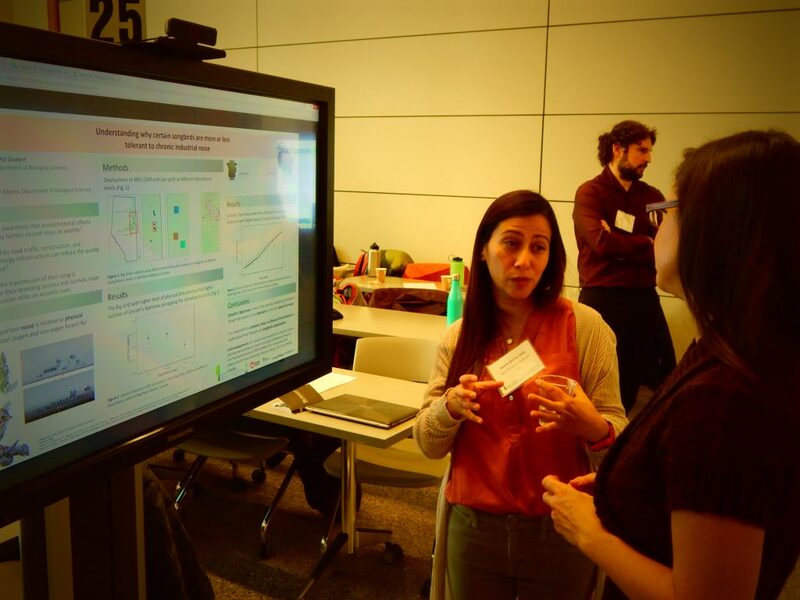 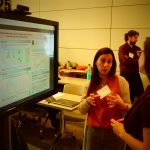 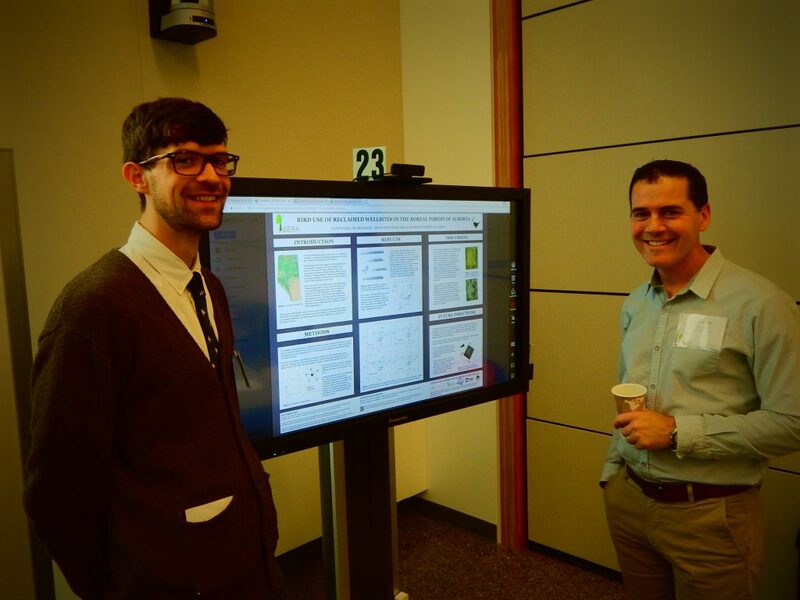 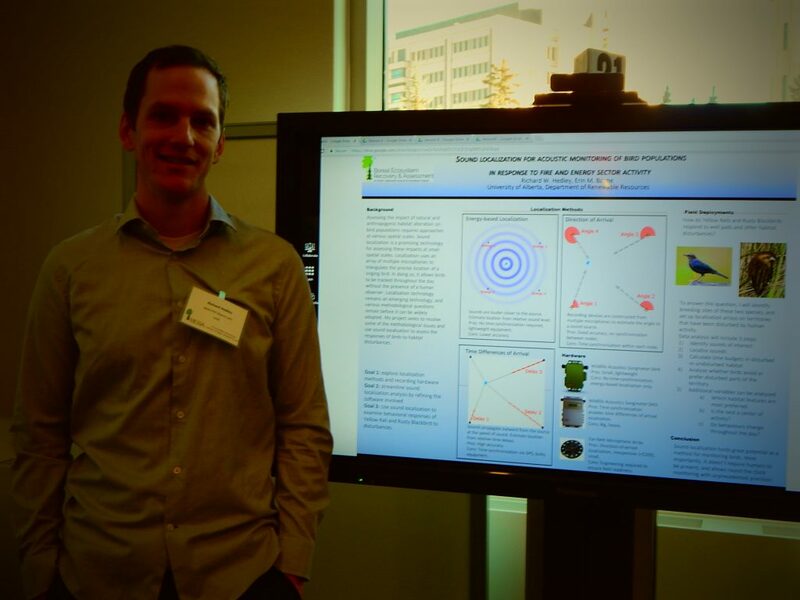 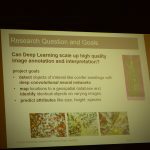 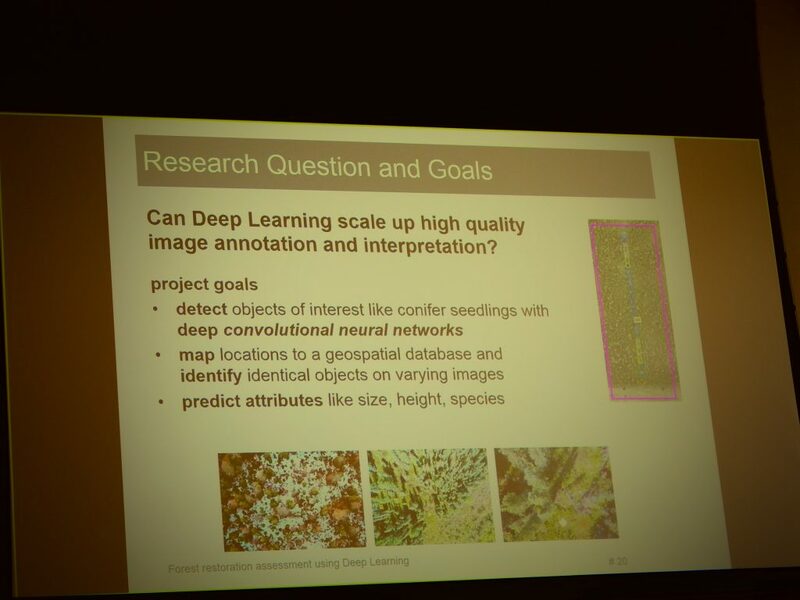 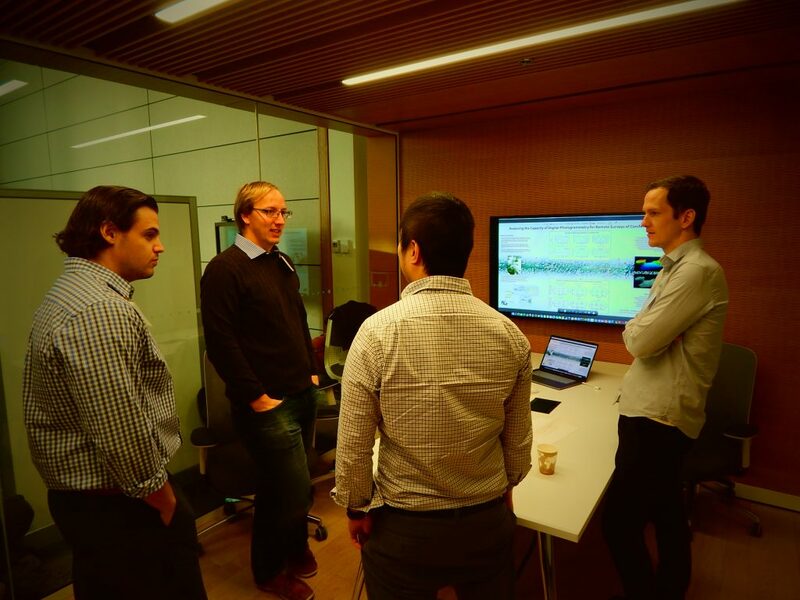 Both sessions followed the same format: with researchers briefly introducing their research projects in lightning-talk format, then engaging with attendees in the relaxed setting of interactive posters. 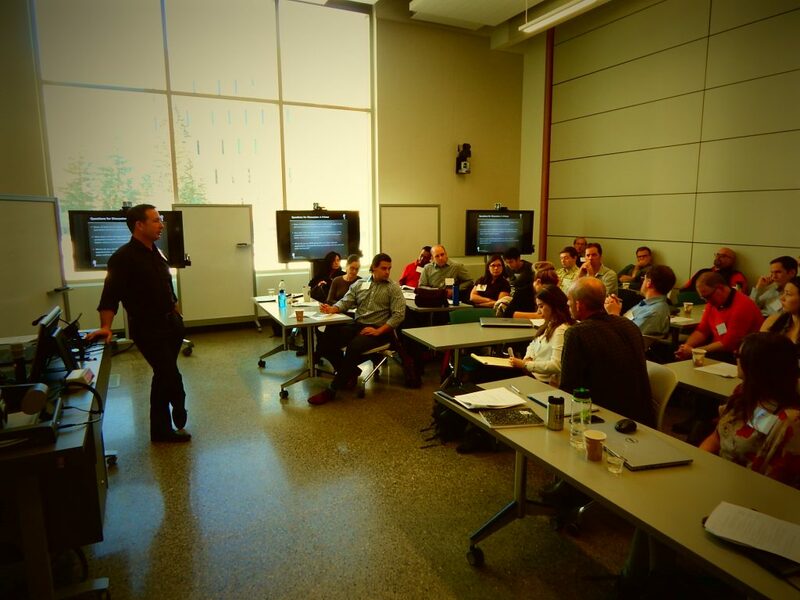 A moderated round-table discussion was held at the end of this workshop. 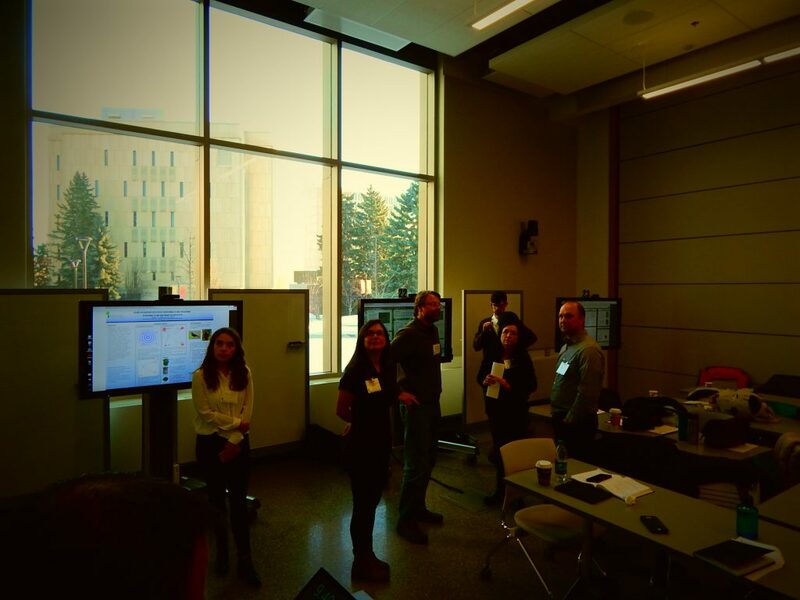 Items discussed included (i) identifying potential research gaps and opportunities within BERA, (ii) exploring ideas for clear and effective science communication strategies, and (iii) a brief contemplation of future BERA research steps. 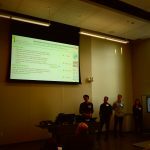 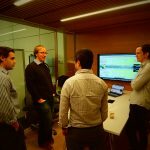 The feedback was overwhelmingly positive, and left participants excited for the project’s remaining two years and beyond. 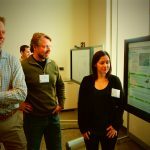 We want to thank our partners and collaborators for their active engagement, interest and the positive feedback, and are excited to continue refreshed on our research path over this coming year. 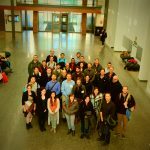 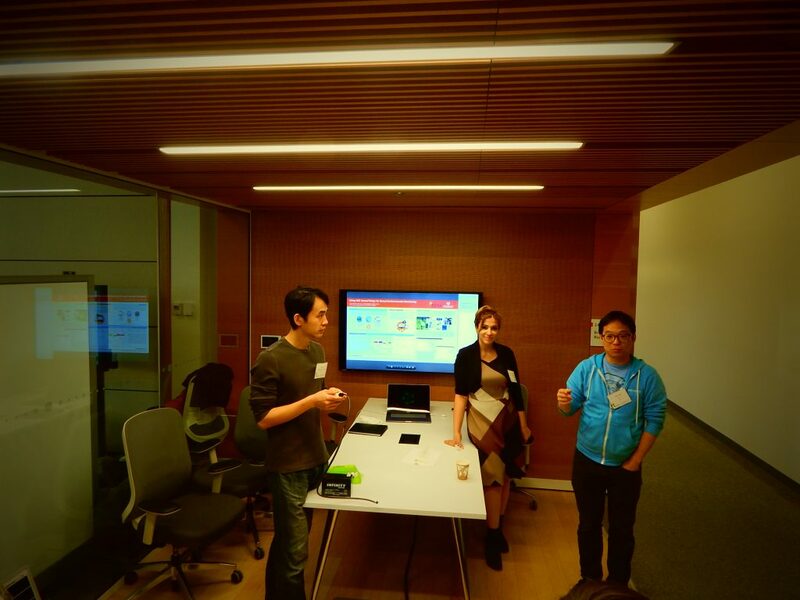 We look forward to meeting again at the next annual workshop!